Through many years we have received countless questions, so the answers to most common ones we would like to share with the audience. Be specific, clear, open hearted and read this paragraph. Please check the upcoming events via our site or a Facebook Page. WHEN ARE YOU COMING TO OUR COUNTRY? A proper invitation must come with an intention to organize and host space for a concert/sound journey. It includes taking care of the logistics as for the musician/s as for the team members. If you are ready for that, please fill up the booking form. Another option is a spontaneous performance, which could be shared while traveling. You should also check the tour dates, maybe your country already on the list. WOULD YOU PLAY IN OUR CITY SQUARE? When I’ll get there and feel it. For years I have traveled alone and had no idea when and where I would come to this or that country. Though nothing stays the same, it’s changing all the time. When life says to us: “There is a new path opening”, an individual can either walk it or to hold on to that what has been expired. No matter where the journey of life takes me, I cherish the experiences and meetings that took place on many corners, plazas, city squares and parks around the world! It is an honorable experience and it’s indeed a very special step of two individuals who wish to walk together. 7 billion of the universes on this planet, in their majority, have very different opinions and ideas what such ceremony is about, as well as a strong connotation and a relation to God figure, which in it’s majority distorted and misunderstood. That’s why I tend to stay away from “hired” situations. I could see a potentiality of a creating a sound ceremony, which wouldn’t have any agenda but representation of a true union of souls. WHERE TO BUY CD / LP? Currently, all of the physical Cd’s are available at the Live Events, though they are going to be ready for a shipment worldwide late 2016 via this site. As for vinyl’s we only know that “Mother of Souls” has a potentiality to come out as LP. Please keep an eye on this site for updates or subscribe for a newsletter at the very bottom of this page by using Newsletter sign up form. 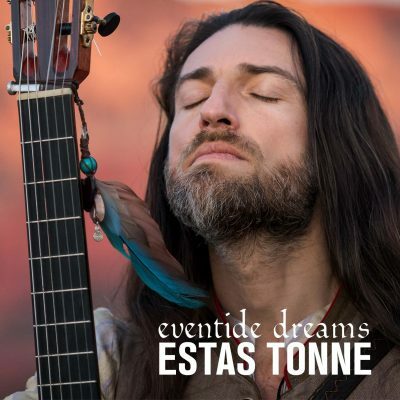 WHERE TO DOWNLOAD ESTAS TONNE MUSIC? All the available tracks could be downloaded via our site. It is also available via Bandcamp and iTunes stores. Please note that recordings of the Live Performances will be available only via official site. Ethically speaking, it would be quite respectful to write to us and ask for a permission to do so. We have seen throughout the years, that some DJ’s or music enthusiasts simply rip the music and then make their remixes, copywriting that creation and then selling their work via online portals under their name. This is unfair nor respectful! So we suggest in any case get in touch with us to see if collaboration could be possible or permission must be given. CAN I HAVE YOUR MUSIC FOR MY FILM PROJECT? Lots of the filmmakers, who are writing to us, are requesting the usage of music for their projects and not seeing it as collaboration. In their view (most of the time) it should be free, in-spite of a fact that they place quite a lot of funds and energy into their projects. Also most of their projects are self promotionally oriented. We are quite selective, what projects we feel inspired to support with a soundtrack and what projects to deny such privilege. It’s not about the money or “a payment or a budget” though about fare share of the energetic synthesis of a co-creation. It’s a rare moment when someone is actually asking to collaborate, but mostly “to use”. We suggest to everyone: before sending a request, please check with yourself what is the place you are coming from with a proposal. It might bring a new vision into your life about fairness of sharing. 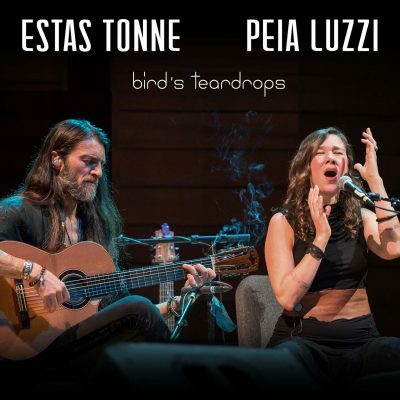 Right now official Publisher of Estas Tonne Music is Tunecore. Please note that not all of the musical work is published under Tunecore, so we suggest getting in touch directly with us via contact form below. Permission would be granted only to those projects that we are resonating with. WHAT GUITAR DOES ESTAS TONNE PLAYS? My current musical guitar-friend was made by a wonderful guitar maker based in Germany, Armin Hanika. It’s not a guitar brand what is important, but how each of us can connect with it, express though it and most importantly, feel ourselves… For years I’ve played a very old guitar, which I’ve got for $100, that’s all I’ve had that moment. But what a feeling it was! A genius, which I’ve met on my travels, once said: “I see you play this old instrument. Seems its time for you to try something new. I have a guitar that is rarely played. Come, try it, if you like it, just take it. A guitar should be played, not stored in the cabinet”. And he gifted me with an instrument that have changed my life. 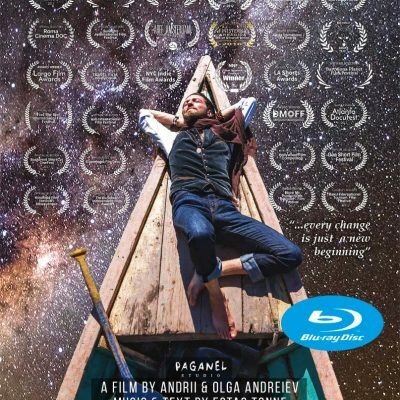 Infinite gratitude to Oleg Ponomarev, a great being and a genius musician. Unfortunately, a guitar from Manuel Rodriguez Guitars, which could be seen in “The Song of the Golden Dragon” performance in Landshut, 2011 got damaged while traveling and eventually, will be repaired. MR house of guitars generously has made an offer to make a new type of instrument that I will present to the world when the moment comes. Sometimes I also play a guitar from Antonio Bernal (Seville, Spain). WHAT KIND OF STRINGS ESTAS USES? D’Addario classical nylon strings, hard or normal tension. WHAT TECHNICAL GEAR ESTAS USES? It took years of experiments to feel the right sound that works for me. Some may say: “there is too much reverb”, some say: ”too much this or that”, yet if a chosen sound works for you, stay with it. Feel it. A combination of the elements what makes it unique. I still try things out though currently I play with TC-Electronics, Electro-Harmonics and Boss pedals. WHERE I CAN FIND NOTATION (TABS) FOR ESTAS TONNE SONGS? When I studied a guitar as a kid I did read & write notes. Though after 11 years of a break, I have forgotten everything and never had an interest to write things down. Unless it would be an orchestrated piece, combining “free spaces” I still don’t have interest in capturing something that could never be the same. An individual is changing each day and so does music. We could truthfully play “the same song” every time only if we also express that true feeling we feel every time. In this case it would never be “that same song” cause we aren’t the same but different in every moment. There are some dear souls who did some arrangements of a few pieces online, you can easily find them on YouTube. What is important is to feel, to be inspired and find your own way to express your soul’s song, which is uniquely beautiful and yet sings those many songs of One Great Ocean we are all. I WANT TO BECOME LIKE YOU, COULD YOU TEACH ME? Your only purpose here is to be yourself…and life teaches it very well. IS IT POSSIBLE TO GET MASTER CLASS FROM ESTAS TONNE? I don’t teach guitar in a standard way of “teaching the technique”. There are lots of great guitar teachers doing their work. And very often in life, its not the physical teaching what is educating us but what comes as an essence. There would be a possibility quite soon to have a week-long guitar workshop, though it’s going to be a very different experience then to come to a guitar class. Keep an eye on our site updates. WHAT ARE SOME TIPS YOU HAVE FOR SOMEONE JUST STARTING THEIR JOURNEY WITH GUITAR? Both qualities are important: structure and improvisation. Study some chords, some songs; enjoy playing them and then “stretching them”. Destroy them and see what stays with you. Play a chord, stay with it. Play another one. Stay with it. Connect them. Feel if there is a connection. Move next. Explore. Experiment. Every teacher you’ll get will teach you what he or she knows. Yet a true teacher would be the one who creates space for your song to appear. FEAR OF DEALING WITH ECONOMIC PROBLEMS WHEN YOU DECIDE TO WALK THE ROAD OF MUSIC CAREER. Music isn’t a career to me, it’s life. I have never seen a dream: “I want to be a guitar hero or a musician in general”, and I don’t associate myself with it today either. When I’ve started to play on the streets I just lived my life and keep doing so today. I’m not a musician, I’m music. And so you are! HOW TO GET AN INTERVIEW WITH ESTAS TONNE? You can introduce yourself and your interview idea via contact form below. Please be creative with a questions since to unusual ones there is much more chance that the answer will be given. There is quite a few interviews already floating online and would be good to read them beforehand, so to know what was asked already. CAN I INVITE ESTAS TONNE FOR A PHOTO-SESSION? Yes, all is possible though it depends on your intentions and a project you have in your heart and mind. Please use contact form below for clarifications. I WOULD LIKE TO COLLABORATE WITH YOU. I’M MUSICIAN / DANCER / SINGER / PERFORMER / ARTIST. Countless times I also feel inspired by a various beings, including musicians, performers, writers and filmmakers though it doesn’t mean that our paths will cross or even necessary to be explored. Sometimes an inspiration could be already enough to light up our hearts. In the same time, what meant to be created and shared inevitably happens if we make a step. IT WOULD BE INTERESTING TO KNOW YOU BETTER; CAN WE HAVE PERSONAL MEETING? It’s impossible to hold a personal meeting with all of those beings wishing to meet. And it might look like we want to know “another person”, while in actuality we just want to meet ourselves. All is possible yet there is no guarantees of such meeting taking place with consideration of our busy schedule. ARE YOU BORN IN RUSSIA? I have “landed” in the land called Ukraine, though at that time it was named Soviet Union. And I have never lived in Ukraine yet since birth my main language has been Russian and it still is. WHAT IS YOUR INSPIRATION? CAN YOU ADVICE? Life. People. Love. Pain. Transformation. Sun. Skies. Silence. The Ocean. Feeling it all is already so huge. What else I can advice? Live your life, explore, be inspired! I don’t know, if you ask more specific I might have an answer. DO WE NEED TO CHANGE THE WORLD? Too many words have been written on such subject. Do, be and explore yourself. I’M IN LOVE WITH ESTAS, WHAT TO DO NOW? Who are you really in love with when you feel it? It might look as someone is in love with an image they perceive. Though it’s not true. We have tendency of identification with the one who stands in a spotlight. And we feel good about it and think that this is love. Who do you love really? CAN YOU SEND A VIDEO OR SONG AS A BIRTHDAY DEDICATION? I did my experiments and still love doing it sometimes to friends I’m connected with via a net of life. Though dedicate a personal message to every request is impossible. There is so much has been said in every song. You can send a song to your loved one and write YOUR personal message, which would have way deeper meaning because of the connection you have. I’D LIKE TO BRING OR SEND SOMETHING AS A PRESENT TO ESTAS! I live a nomadic life and it’s impossible to carry with me all the offerings. The best gift you can give to anyone is to open your heart and share such qualities with the world! I love percussions, though I only play it when I feel. Also I love a flute, which I more and more resonate with. And voice which loves to express itself from time to time. Do you believe in real dragons? Yes, sure I do. Often I see them “sleeping” as huge mountains or hills. Also I see them in people and most importantly I see them within myself. There are many kinds of Dragons just as there are so many kinds of stars in the skies. But some of us can see “the real dragons” and if such gift is with you, eventually you will know why you have it. How can you speak many languages and not get confused? I do get confused sometimes. But mostly, when I speak, I don’t think what language I use, I even speak when I don’t know the language and each of us can do it also. Have you been to Africa too? It feels as I have been, but I will have to go and check it out.